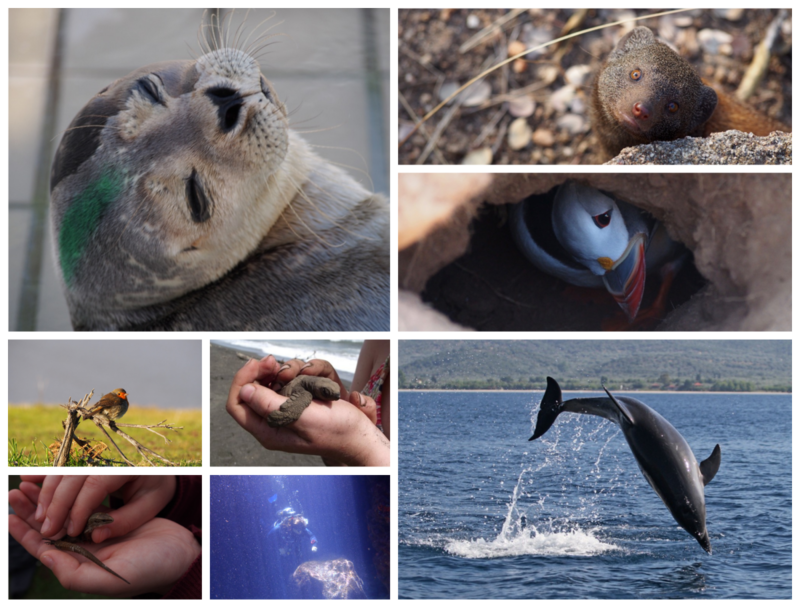 My dad says I should write a blog post about how many jobs I’ve had in the past six months, and he’s certainly had worse ideas – so here is a snapshot of six months in the working life of a zoologish (warning: does not contain much zoology). When I returned from Costa Rica six months ago, I was very much in the position of needing to make money ASAP. Luckily for me, I have a remotely-based job editing business documents, which I have been doing for a year now. This meant I did have some income in Costa Rica and that I didn’t have a period of being unemployed on my return, but it doesn’t provide enough hours to live on alone. The first job I got was a cleaning job at a shop in the centre of Bristol for four hours every morning, 6-10am or 7-11am, which then allowed me to spend the afternoons editing and start to save some money. It’s fair to say I didn’t have any intention of staying in that job for longer than I needed to. The variety of jobs that I apply to is pretty stunning, but having not been successful in any of my ‘serious’ applications to jobs within biology, I ended up registering at an agency who provide support staff to schools. I wasn’t sure anything would come of it, but reasonably quickly they placed me in a school five afternoons per week as a science technician. I did one week of cleaning in the mornings and science tech-ing in the afternoons while I served out my notice, which was exhausting, and I was glad to be able to stay in bed until seven or eight again and devote my mornings to my better paid editing job. Being a science tech was a pretty cushy gig, although it involved a lot of washing up (I used to say I was probably the best paid kitchen porter in Bristol), and the school was a really lovely environment. However it was a temporary role covering for a member of staff on sick leave, so there wasn’t much certainty about how long the work would be available for, and of course there was no work over school holidays. In November I interviewed for a Guest Experience Assistant job at Bristol Aquarium and was unsuccessful. I was a little upset as I felt my application was strong, but that was soothed by the fact that if I had gotten the job I wouldn’t have been able to see my parents over Christmas. So instead I went over to France for a visit and committed to two more weeks in my science tech gig for after the school holidays. While I was in France over Christmas (actually while I was helping my mum with one of her cleaning jobs, so I don’t know if we should count that as a job or volunteering…) I received a phone call from the aquarium. Someone had handed in their notice so they did want to hire me after all! It wasn’t the easiest decision as it was a pay decrease from my science tech gig, and a zero hour contract that would involve working a lot of weekends. However, with the science tech-ing possibly ending at any moment and, more importantly, the opportunity to work at the aquarium and be tangentially related to marine biology, I went for it. I did my remaining two weeks at the school, and even another few days there alongside the aquarium the week after that, and since then I have been in the aquarium three to four days a week and editing on the other days. For most of the past two months I’ve been working seven days a week, although I did take a weekend off to move flat. I’ve also done a little tutoring and a morning through my agency as a teaching assistant in a primary school. Working at the aquarium has positives and negatives, like all things. It’s a really great team of people and everyone who is there does it for the opportunities for education and outreach – giving guided tours to school groups is a highlight, as were all the extra activities (like squid dissections) that we did over half term. However, it is primarily a customer service role and the majority of time is spent selling tickets, or working in the shop/cafe (I knew this going into it, I wasn’t misled). So of course I was happy to have the job and it really allowed me to stop applying for things that I didn’t want to do just because I needed work. But I didn’t love it enough to stop my ‘serious’ job applications to zoology positions, which of course have continued to be largely unsuccessful. With the summer ecological surveying season coming up, I particularly started to look for entry level ecologist jobs, as ecological consultancy is one of the places that there are actually paid zoology positions. Eventually I was successful and I have been offered a seasonal field surveyor job with an ecological consultancy for the next few months (and hopefully ongoing until September based on what contracts they have coming through). I really hope that’s me done with job hunting for a while, and that this position combined with my editing job will carry me through to starting a Masters degree at the end of September. Dad reckons that having this many jobs in six months is not something to be proud of, and he’s probably right, especially since even in his part-time ‘retirement’ job he’s been loyal to his employers for seven years now. There is definitely something to be said for that. I don’t job-hop like this for fun and would much rather be in comfortable and stable employment. But in this field my working life is never going to look the way that his has – even if I am successful in eventually becoming a professional marine biologist, the nature of jobs is very seasonal/fixed-term contract based and it is likely I’ll have to do a lot of short-term work before a permanent job is even an option. Currently, knowing that I am going back to university in September means there isn’t much point looking anyway, but here’s to hoping my Masters will open doors to the kind of jobs that will make me want to stay. This post is waaay too relatable. The struggle for stable work in this field is ridiculous. Congrats on your new position though!